Chocolate can never go wrong for desserts. But chocolate and mint? That’s a double winner right there. I’ve always loved mint chocolate (you know those After Eight and Andes chocolate mint thins? I used to devour lots at one go, regardless of the time of the day haha). 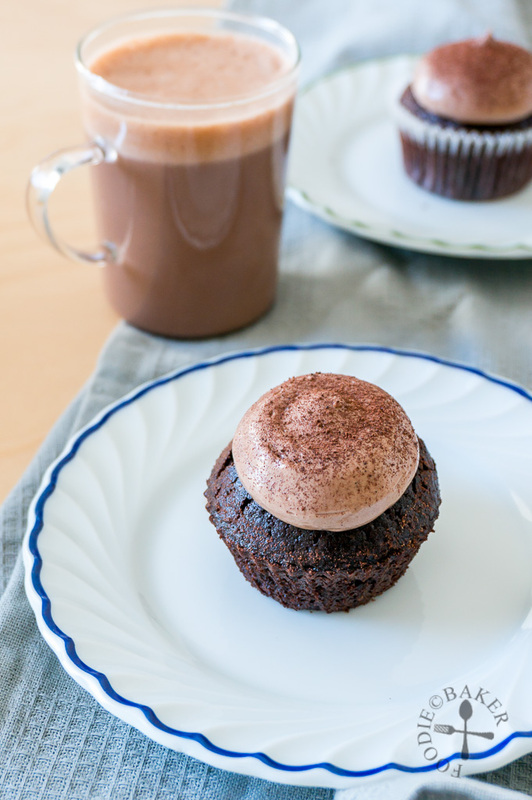 Funny though, I seldom baked any chocolate and mint treats – so I guess it’s time to correct that with these Mint Chocolate Cupcakes, frosted with a luscious and creamy Chocolate-Mint Swiss Meringue Frosting. 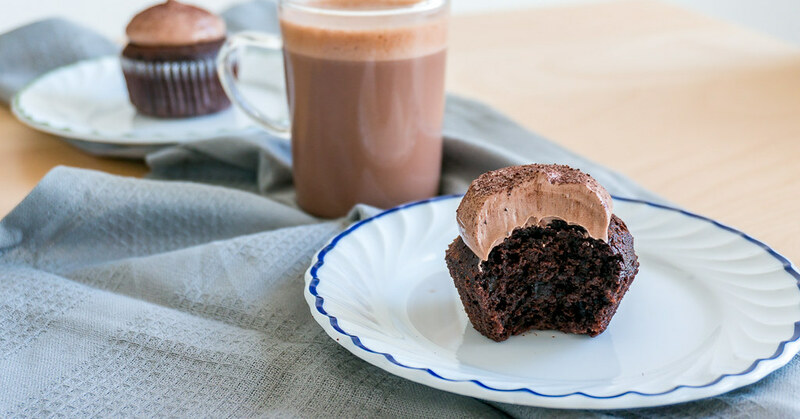 These Mint Chocolate Cupcakes are a one-bowl treat – use one mixing bowl to make the batter (no mixer is needed – double bonus here if you ask me), and while the cupcakes are baking, rinse and dry the mixing bowl and use to make the Swiss meringue frosting. If you find the frosting too much of a hassle, eat the cakes plain or frost with some peppermint chocolate ganache instead (included in the recipe as well). 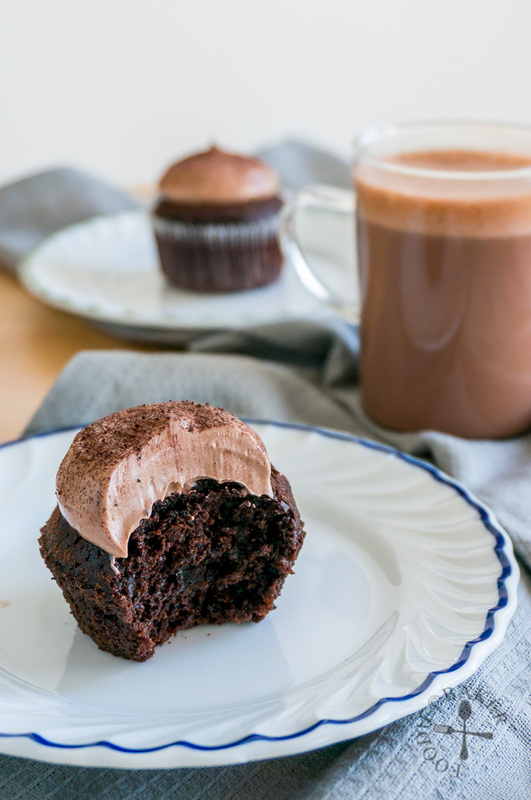 I had a cupcake with some homemade hot chocolate (will share the recipe once I remake it!) and it was so, so satisfying! This time round there are only step-by-step photos for the Mint Chocolate Cupcakes sans frosting, because I got lazy (oops). Maybe I’ll share the Swiss meringue frosting on a separate post next time – I think it deserves a post on its own! 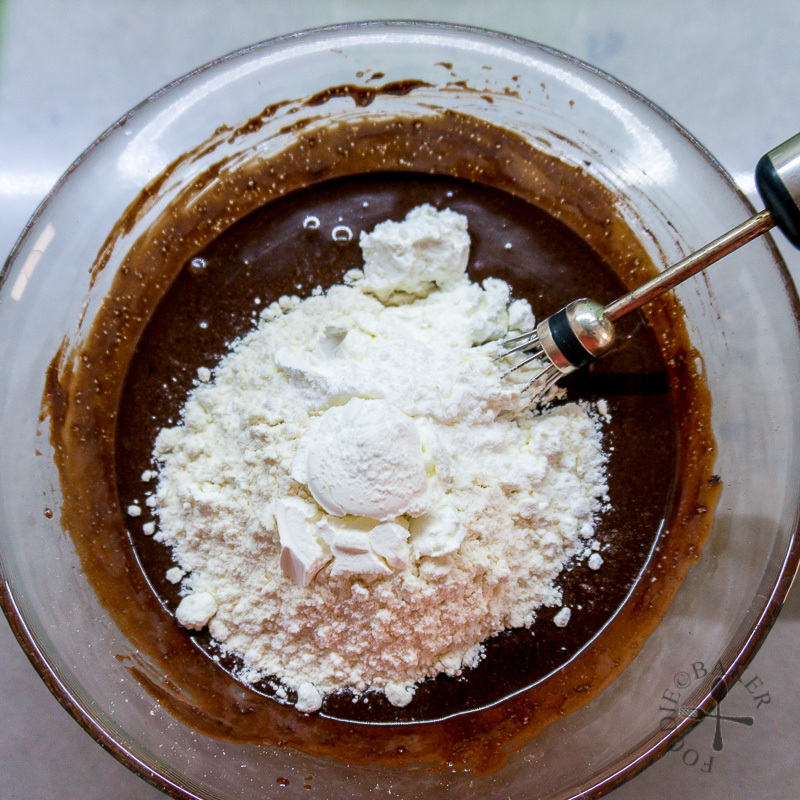 1) Whisk together cocoa powder and boiling water until a paste is formed. 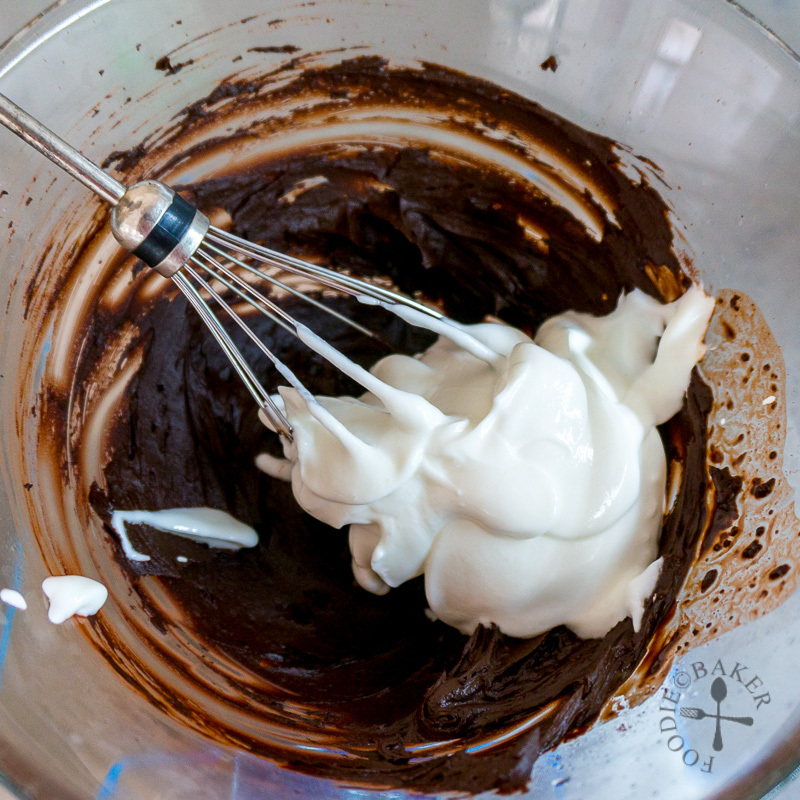 2) Whisk in the cold yogurt or sour cream to cool the cocoa mixture. 3) Whisk in the oil, egg and peppermint extract until fully incorporated. 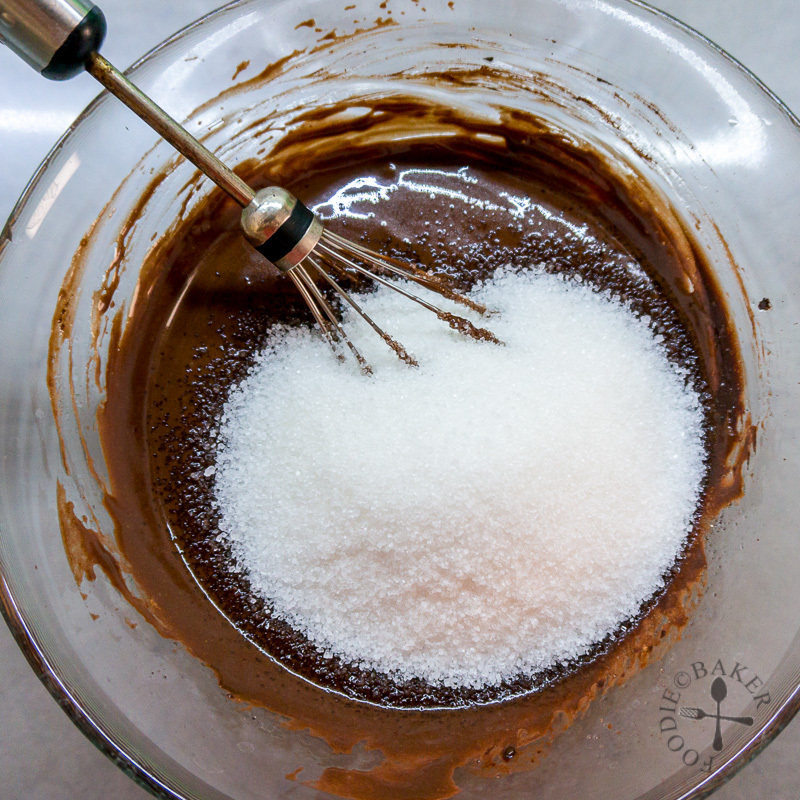 4) Whisk in the sugar, the sugar won't dissolve completely but it's okay. 5) Add in the flour, baking powder and salt and whisk gently until the dry ingredients are incorporated. Do not overmix. Use a spatula to scrape the bottom of the mixing bowl a few times to ensure all the ingredients are well-mixed together. 6) Scoop 1/4-cup (60ml) of batter into each liner - you will get about 8 mini cakes. Bake for 18 to 20 minutes. 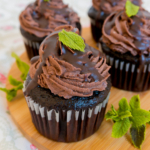 Frost and enjoy the Mint Chocolate Cupcakes! 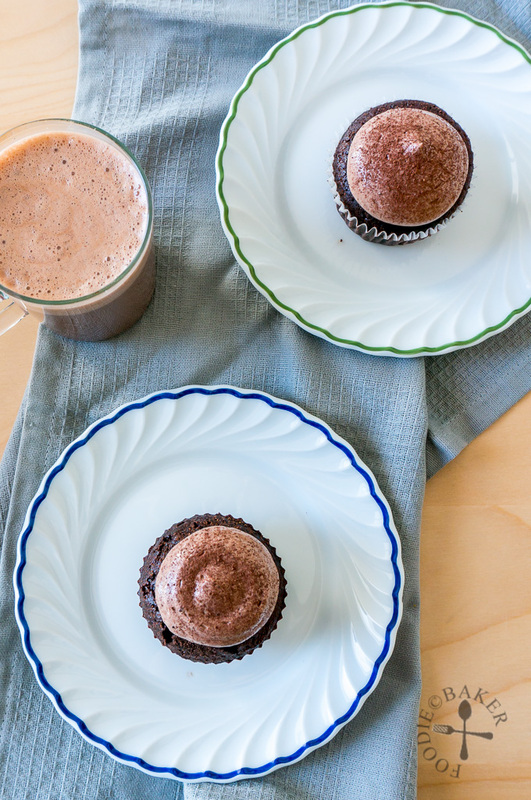 If you like cupcakes, don’t forget to check out my new friend’s cupcake recipe: Gluten-Free Buckwheat Fruit ‘N’ Nut Cupcakes by Supriya from Quiche ‘n’ Tell! 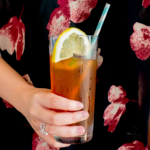 If you like mint like me, check out these recipes! Preheat oven to 175C/350F. 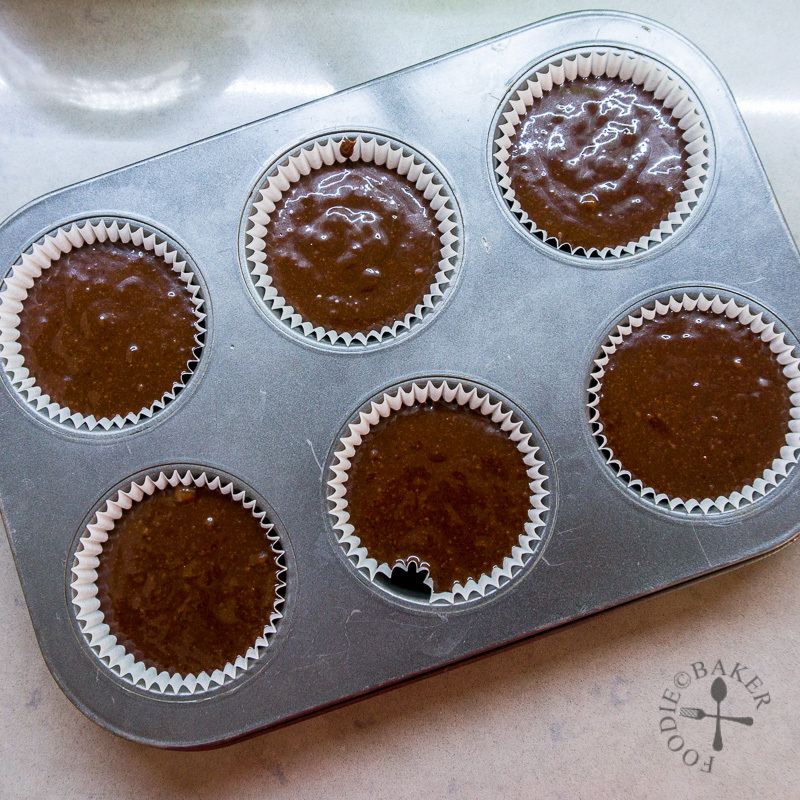 Line a muffin tin with paper liners, set aside. 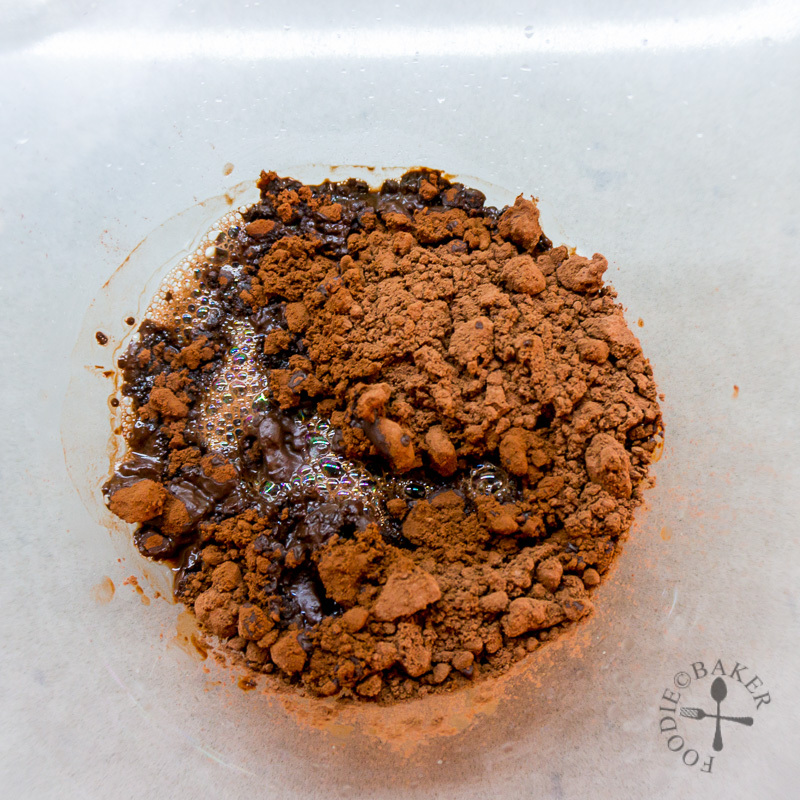 In a mixing bowl, use a wire whisk and whisk together cocoa powder and boiling water until a paste is formed (this blooms the chocolate, intensifying the chocolate flavour). Whisk in the cold yogurt or sour cream to cool the cocoa mixture. Whisk in the oil, egg and peppermint extract until fully incorporated. Whisk in the sugar, the sugar won't dissolve completely but it's okay. Add in the flour, baking powder and salt and whisk gently until the dry ingredients are incorporated. Do not overmix. 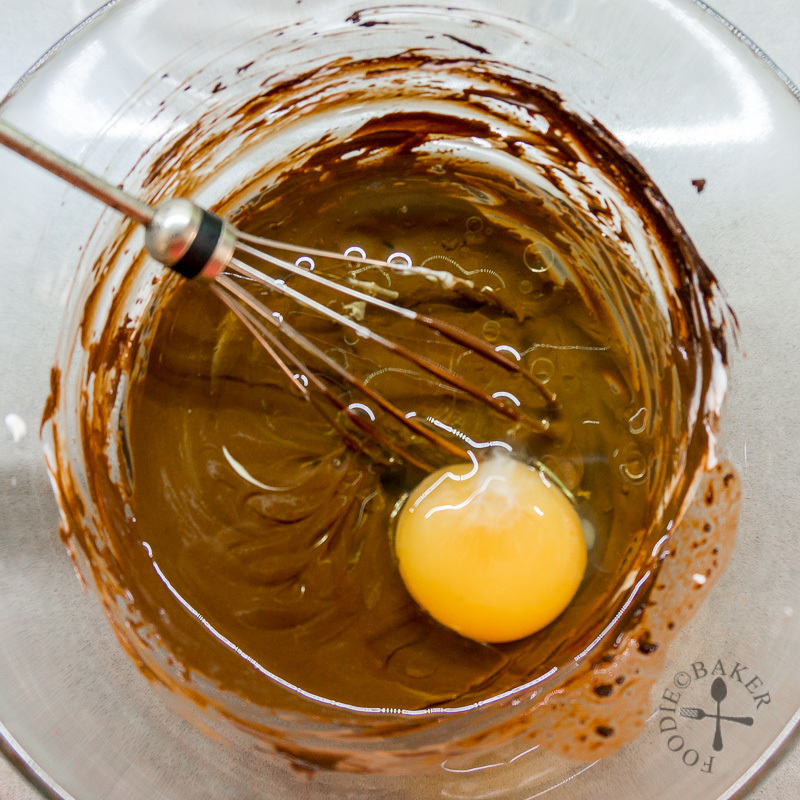 Use a spatula to scrape the bottom of the mixing bowl a few times to ensure all the ingredients are well-mixed together. Scoop ¼-cup (60ml) of batter into each liner - you will get about 8 mini cakes. Bake for 18 to 20 minutes until a skewer inserted into the center of the cake comes out clean and the top of the cake bounced back when touched gently. Let the cake cool completely before frosting with Chocolate-Mint Swiss Meringue Frosting. - For more information on Dutch-processed cocoa powder and blooming of cocoa powder, click here. - To make a whole cake, grease a 6-inch round cake tin with butter and line the bottom with parchment paper. Bake for 30 to 35 minutes until a skewer inserted into the center of the cake comes out clean and the top of the cake bounced back when touched gently. Let cool completely before frosting the top and sides with the Chocolate-Mint Swiss Meringue Frosting. - If you'd like to frost the cake with chocolate ganache instead, heat 100 grams cream (minimum 30% fat) to simmering and pour over 100 grams finely chopped dark chocolate. Let sit for 5 minutes, then stir until the chocolate has melted. Add a few drops of peppermint extract if desired. Let cool until the ganache has thickened before spreading on top of cupcakes. Once all the butter has been added in, keep beating until the mixture comes together into a nice-looking buttercream. 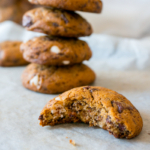 Turn the speed down to low and beat in the vanilla, peppermint extract and cocoa powder. Taste and add more peppermint extract if desired. Frost as desired. - Make sure your butter is soft and diced before you start the recipe - you should be able to press into the butter easily with your finger but it shouldn't look glossy. Thanks Wai! Mmm that will be a toothpaste I will buy anytime! Hello, Chocolate! They look so delicious, Jasline, and the Swiss meringue too! Wow! My favourite pair mint + chocolate! Love the way you enjoy them with hot chocolate ! Ohhhh they look so moist! Yum!